In some respects, Poland seems to be Europe’s logistical centre – not only due to its strong position in international road transport (25 % share of the European market) but also as a result of large investments in commercial warehouse space. Over the last five years, it has grown by almost 75 %, reaching 16.9 million m2 in 2018. The development of warehouse infrastructure indicates the growing demand for outsourcing from logistical companies, which is more and more frequently used by companies from the small and medium enterprises’ sector. However, only some companies choose such a solution – most prefer looking after the effectiveness of their logistical background independently. Nowadays, it must meet the increased demands of contemporary markets, especially the tendency of strong personalization of a wide range of manufactured products, with the need of maintaining costs at competitive levels. At the manufacturing stage, this means the need to ensure constant supply of materials, components and utilities to individual machines and manufacturing centres, carried out in accordance with a strict schedule, according to the ‘just-in-time’ method. At the storage stage, on the other hand, the logistical system must be able to deal with identification and correct sorting and assembly of the manufactured production according to placed orders and the clients’ needs in terms of delivery conditions. A large number of actions performer as part of widely defined logistics requires an integrated approach which should already begin at the stage of product design. Logistics overlaps many areas of the enterprise – planning, production, warehouse economy, marketing and bookkeeping. This is because the expected goods to be delivered to the recipient shall be of appropriate quantity, range and quality but they shall also be delivered to the right place and at the lowest possible cost. 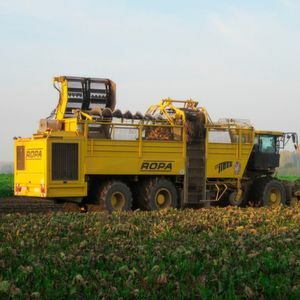 The growing complexity of logistical tasks means that entrepreneurs are more and more frequently investing in specialist software supporting operations in this area and they are also more likely to purchase equipment such as robots, industrial manipulators, automated storage and retrieval systems, hoists, conveyor belts, sorters, loaders or fork lifts. Gradual development of automation is visible. Nevertheless, in spite of certain progress, 80 % of Polish companies still operate without the support of advanced technologies. Automation of logistics for Industry 4.0 is still rare in Poland and involves a small percentage of companies, usually associated with foreign capital. In order to integrate logistical processes, entrepreneurs may use standard enterprise resource planning (ERP) systems which include, amongst other things, the warehouse economy module. 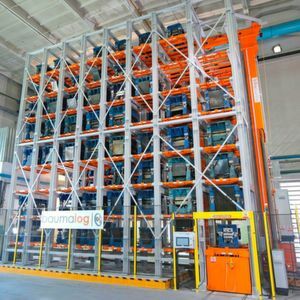 They may also decide to use a warehouse management system (WMS) – with much more developed functionalities for supporting all processes related to the inflow, storage and outflow of products from the warehouse. The main difference between ERP and WMS systems is that the former supervises stocks from the bookkeeping perspective whilst the latter does it from the perspective of physical arrangement of products on warehouse shelves. In practice, the ERP module may prove sufficient in case of enterprises from the SME sector operating on a small scale, whilst the WMS is used for complex management of warehouse economy – it seems indispensable in large companies with warehouse space exceeding 5 thousand m2 and well-developed logistics. An important role in IT systems used in warehouse economy is played by solutions enabling automatic storage and processing of data. They are based on barcodes (matrix), automatic identification of products RFID using radio waves and recognition technology of printed text. According to the Institute of Logistics and Warehousing, Poland produces, amongst other things: storage devices (warehouse shelves), loading units (containers and pallets), means of technological transport such as fork lifts (electric and petrol), automatic storage and retrieval systems enabling storage up to the height of 45 metres and operating on an automatic cycle, hoists, cranes, conveyors, loaders and auxiliary devices supporting the formation of loading units and mechanization of works. Warehouse shelves are supplied by a group of approx. 170 companies, mainly from the SME sector. A similar number of companies supply fork lifts, whilst the licence to manufacture ULC-type pallets is held by 41 companies. In this regard, the supply of the Polish market is mainly based on domestic production. However, foreign products are also available, representing western brands as well as Asian manufacturers. 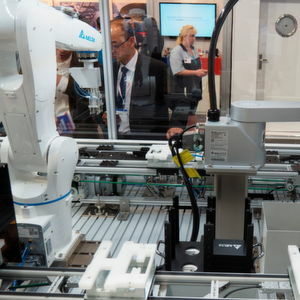 With regards to technologically advanced products from the area of automation and robotics, the aforementioned proportions are reversed – this area is dominated by offers from suppliers which are established on international markets with small participation of solutions resulting from the work of Polish engineers and IT specialists. However, the activity of Polish entrepreneurs in the area of system integration is noticeable. They design applications for specific uses, supply the necessary software and auxiliary equipment and implement individual solutions, also providing servicing and technical support.